A result of twelve years of research, The Modern Day Gunslinger was written to meet the needs of the gun owner, the experienced shooter, those who own a weapon strictly for home and self-defense, and for the military member who wants to become a better shooter in defense of our country. It’s also for the law enforcement officer who risks his or her life going against the thugs of our society and for anyone interested in learning the defensive and tactical training techniques from some of the best and most experienced shooters in the world. The shooting skills taught in this book carry broad application in civilian, law enforcement, and military contexts. Common criminals, terrorists, assailants—the enemy and threat—all will find themselves outgunned in the face of a properly armed and trained gunslinger. Members of the armed services, government and law enforcement agencies, as well as civilians, will find that the close-range shooting methods addressed in this book can provide a decisive advantage. 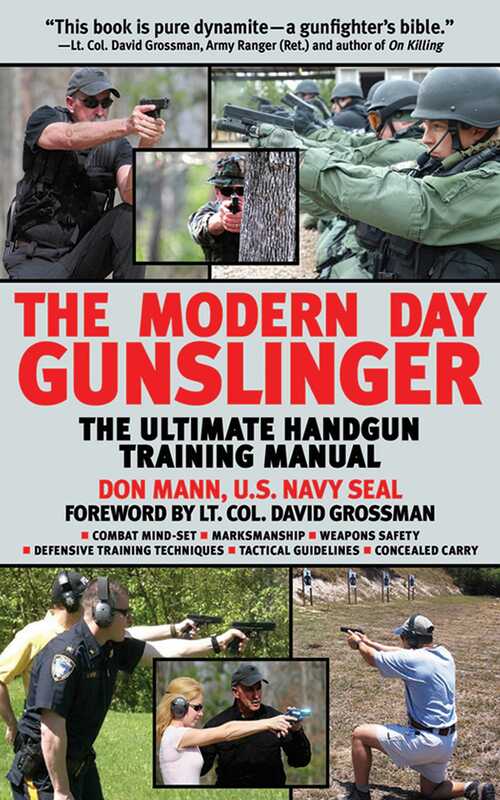 An all-encompassing manual that addresses safety, equipment, tactics, and the best practices for all shooters, The Modern Day Gunslinger is the most all-encompassing book on shooting ever published.